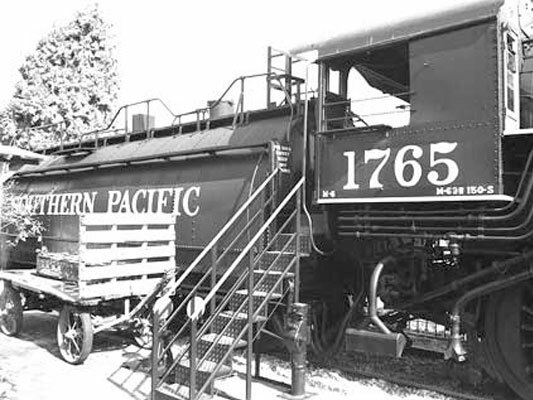 This class 73-SC-1 "whaleback" or "half-round" tender was built at Southern Pacific's Sacramento shops. The tender holds 7,300 gallons of water. Fuel oil is carried in the forward section of the tank. This tender was not the one originally built for the locomotive but was larger and has a greater capacity for long-distance runs. 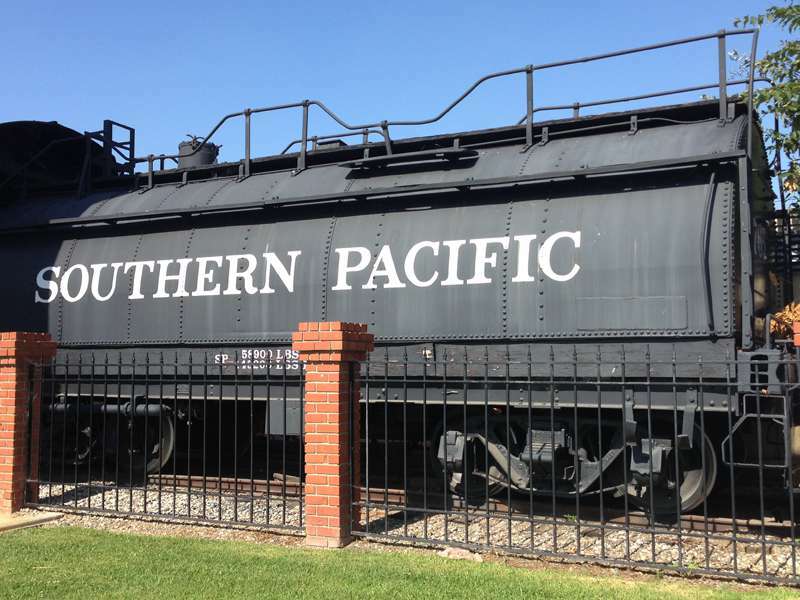 Southern Pacific designed and built many of these tenders, they were seldom used on any other system. The tender weighs 58,900 pounds empty and 145,000 pounds when loaded with water, oil and running equipment.